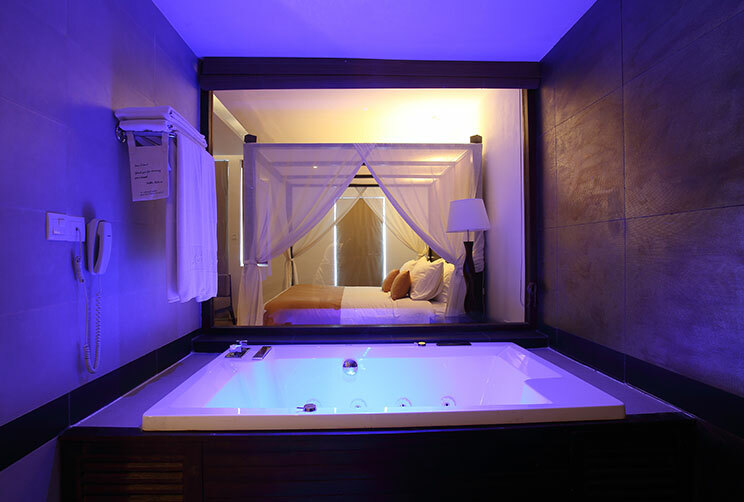 The 53 Deluxe Rooms are elegant spaces of luxury accommodation at Jetwing Sea. Fitted with a spacious private balcony, each room features magnificent views of the Indian Ocean from our beach resort in Negombo, which also let in a generous amount of sunshine to wake you up from lavish slumbers upon our comfortable bedding. 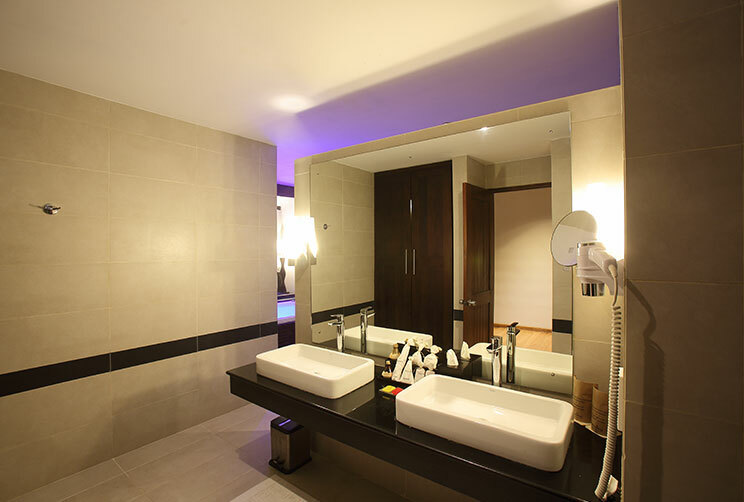 As an added pleasure, the bathrooms of every Deluxe Room at our home of Sri Lankan hospitality not only feature a separate rain shower enclosure, but also a plush bathtub with sea view for soothing soaks above the sea, while modern facilities such as a plasma TV with satellite channels and a free Wi-Fi are also available.